In recent years, GoPro cameras have become a car enthusiast’s dream. Whether you’re a track day enthusiast or simply like attending car shows, a GoPro is the perfect compact device to capture all the action. With a GoPro, you can relive your lap around the track or share it quickly with the world to see, which also comes in handy if you’re looking to cut a few seconds from your lap time. If you’ve never purchased a GoPro before, or even a digital camera/video recorder, you might be a bit overwhelmed by all the features and specifications each model has to offer. Luckily, GoPro isn’t one of those brands that have a huge lineup of options. Instead, the company currently offers four models, which makes it easy to compare and choose the right one for you. 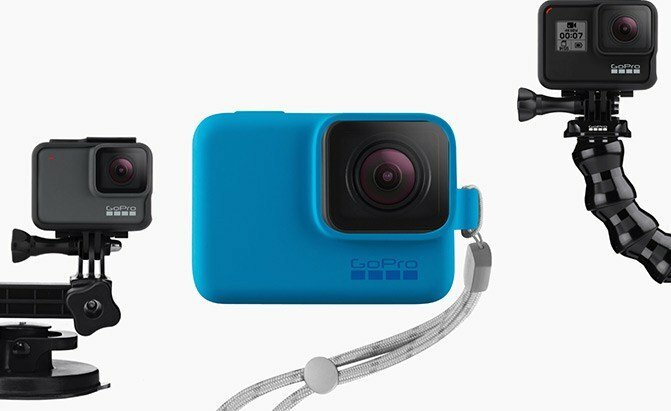 In the article below, we break down all the different GoPro models currently available in hopes of simplifying your purchasing experience. We’ll take a look at the HERO7 lineup (Black, Silver, and White) as well as the top-of-the-line Fusion camera. DEAL ALERT: THE HERO7 BLACK IS CURRENTLY $50 OFF, AND THE FUSION IS BEING OFFERED WITH TWO FREE 32GB SD CARDS. Needing some parts and if you need HELP am EXPERT at Honda Motors and fixing them! All times are GMT -4. The time now is 04:52 AM.